A pregnant waitress was reduced to tears by an anonymous police officer’s stunning bill. Abuja (CNN) Nigeria’s two main political parties have condemned a last-minute decision by the country’s electoral authority to delay presidential and national assembly elections by one week. “Following a careful review of the implementation of the logistics and operational plan, and the determination to conduct free, fair and credible elections, the commission came to the conclusion that proceeding with the election as scheduled is no longer feasible,” the chairman of Nigeria’s Independent National Electoral Commission (INEC), Mahmood Yakubu, said early Saturday. “This was a difficult decision for the commission to take, but necessary for the successful delivery of elections and the consolidation of our democracy,” he said. Elections for governorships, state House of Assembly and area councils are on hold until March 9, INEC said. The announcement was made only five hours before the polls were supposed to open. 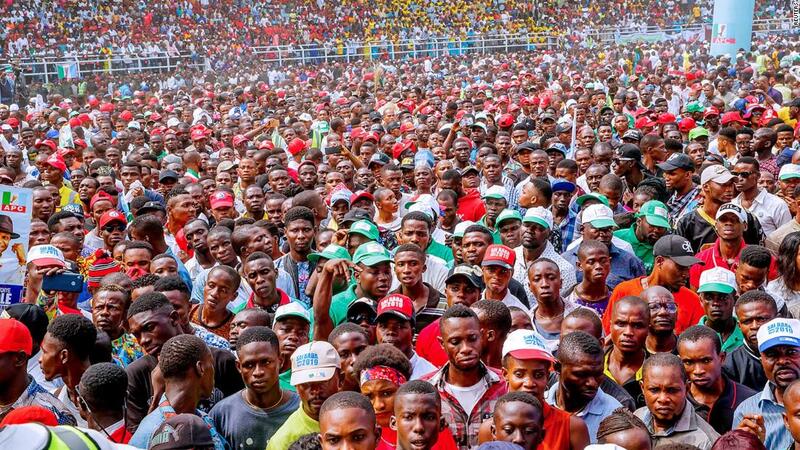 Many Nigerians had traveled long distances back to their home city or state in order to vote, only to find that the election was postponed.Some may not be able to repeat the journey next weekend. 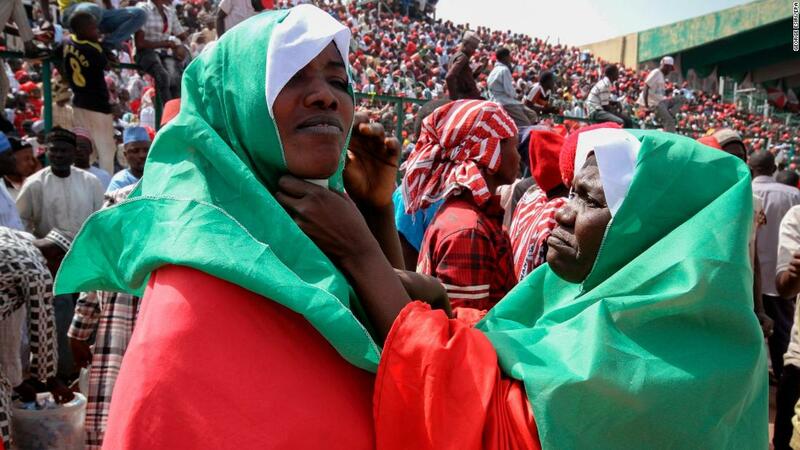 The delay is likely to ratchet up tensions in what is a crucial vote in Africa’s most populous nation. Normal life had been put on hold for the election, with borders closed and drivers urged not to take their cars on the roads. He pointed to challenges including the burning down of three regional electoral commission offices housing voting materials and bad weather that prevented ballot papers from being flown into some remote areas as being behind the decision. 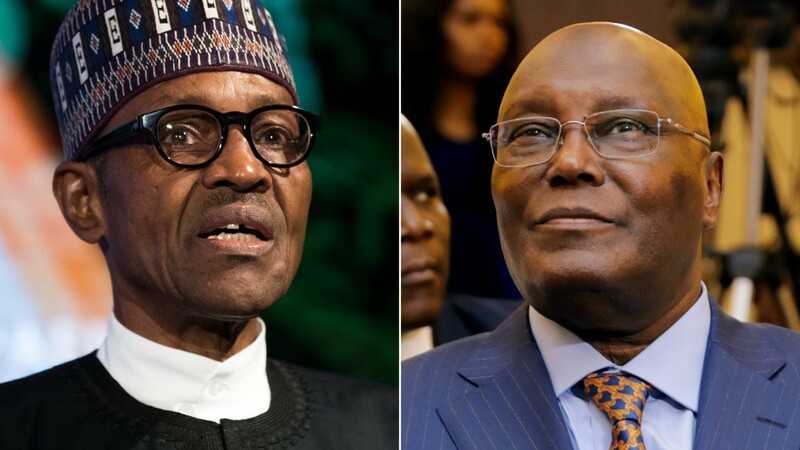 Buhari is running against 71 other presidential candidates but his main challenger is Atiku Abubakar, a 72-year-old business tycoon and former vice president. The main opposition People’s Democratic Party (PDP) and the ruling All Progressives Congress (APC) accused each other of using the delay to their advantage. “We condemn the postponement of the elections, but urge our teeming supporters to be patient and determined,” a statement released Saturday by Buhari‘s Presidential Campaign Council read. It said Buhari had fully cooperated with INEC and that the council hoped the commission would “remain neutral and impartial in this process” and not collude with the PDP. Opposition candidate Abubakar, of the PDP, said in a statement on Friday that Buhari’s administration has had “more than enough time and money to prepare for these elections” and accused his opponent of delaying the vote in “hopes to disenfranchise the Nigerian electorate in order to ensure that turnout is low” on the new polling date. Abubakar urged voters to come out in even greater numbers on February 23, adding that the APC were “desperate and will do anything in their power to avoid” being rejected by the Nigerian people. “You can postpone an election, but you cannot postpone destiny,” he said. Both parties called for calm amid fears that voters’ frustrations could boil over into increased tensions. INEC will likely face questions over the last-minute nature of its decision and the nature of the logistical difficulties involved. The lead-up to the elections has been marked by violence, prompting warnings from the British and US governments that they would deny visas to and likely prosecute anyone found inciting violence during the vote. A terror group with links to ISIS claimed responsibility for a deadly attack Tuesday on a motorcade carrying the governor of Nigeria’s northeastern Borno state. The Islamic State’s West Africa Province terror group, a breakaway faction of Boko Haram, has staged a number of high-profile attacks in recent months. Buhari has been criticized for failing to deliver on his campaign promises to end the years-long Islamist insurgency that has left thousands displaced in the northeastern part of the West African nation. Nigeria’s last presidential vote, in 2015, was delayed by several weeks over security concerns. The country’s 2011 election was also postponed. The latest vote comes at a critical time for the country’s economy, a lynchpin of the region. The recent oil price crash sent Nigeria’s economy into turmoil when the price of a barrel plunged to $40 at its lowest from a high of $100, leaving the country’s major revenue source depleted. 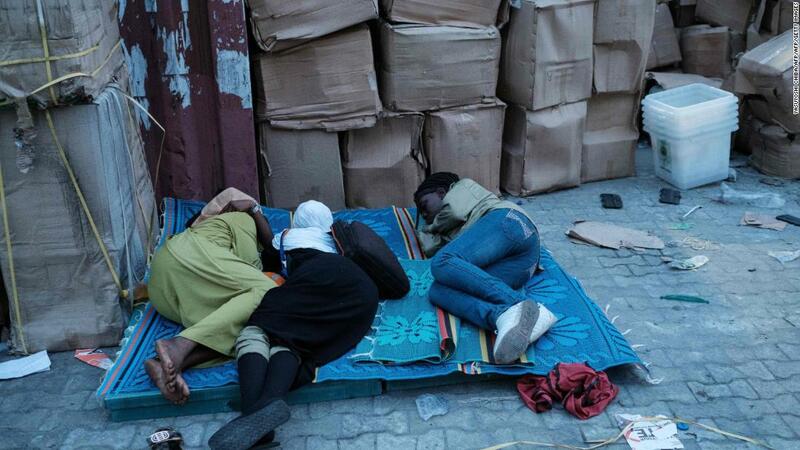 An estimated 87 million Nigerians now live in extreme poverty, the highest number in any country in the world, according to The Brookings Institution. IM Live PLR Upgrade - Automated List Profits Unlimited Access Get unlimited access to Automated List Profits and start building your list today with the PLR reports and templates. NativizeWP The Fastest, Easiest, And The Most Convenient Way To Create Laser Targeted Content In Your Sidebars And Show It On Related Posts And Pages. Vizully VIP Yearly Vizully VIP Annual - FRESH and NEW Inventory. Your UNFAIR Advantage To Consistently Long Term Growth and Profits. Commission Resurrection How A British Guy Found The Simple Secret To Driving Massive Traffic Online Which Can Make Anyone $1,416.07 Per Day Automatically! List Building 2019 Success Kit PLR Get this Up-to-date "List Building 2019 Success Kit" with PLR Rights and start cashing in huge by selling it as your own. AffiliStores TITANIUM Lite Create Highly Profitable Affiliate Stores In Minutes! Crush It With Amazon, AliExpress, eBay and Many Other Affiliate Marketplaces! Insta-Stories Upgrade 2 Exclusive RESELL License PLUS Get Instant Access To Our PRO Version!